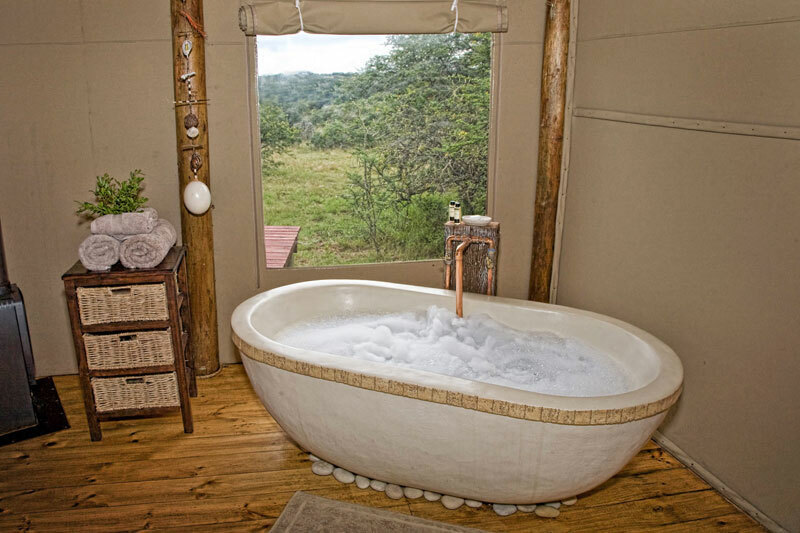 Eastern Cape tented camps to take you into uncharted territory. Once there, time stands still. Because these Eastern Cape tented camps are in a part of the country not associated with big game in the way that Limpopo and Mpumalanga are. But the proximity of Addo Elephant National Park, and the area’s history of wild life, makes it an obvious safari choice. A short drive in from the Sunshine Coast takes you into former settler country where time slows. 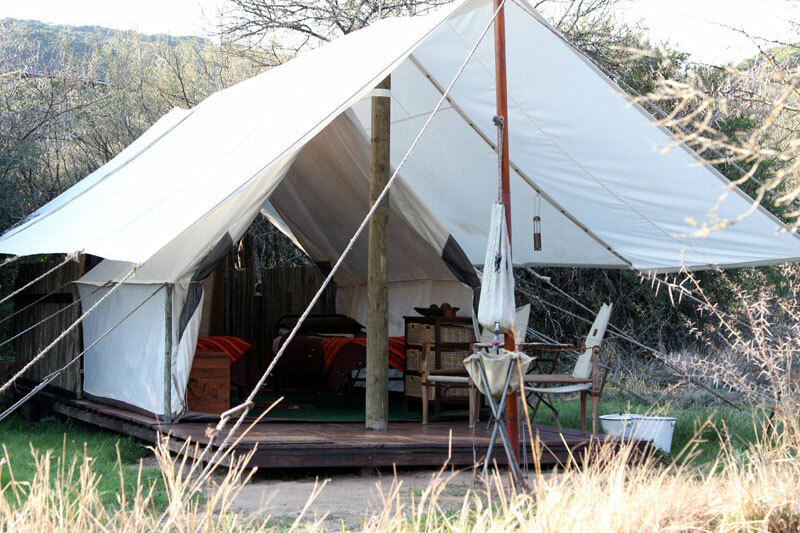 And we think you’ll agree that the heart stopping scenery is ideal territory for tented safari camps. 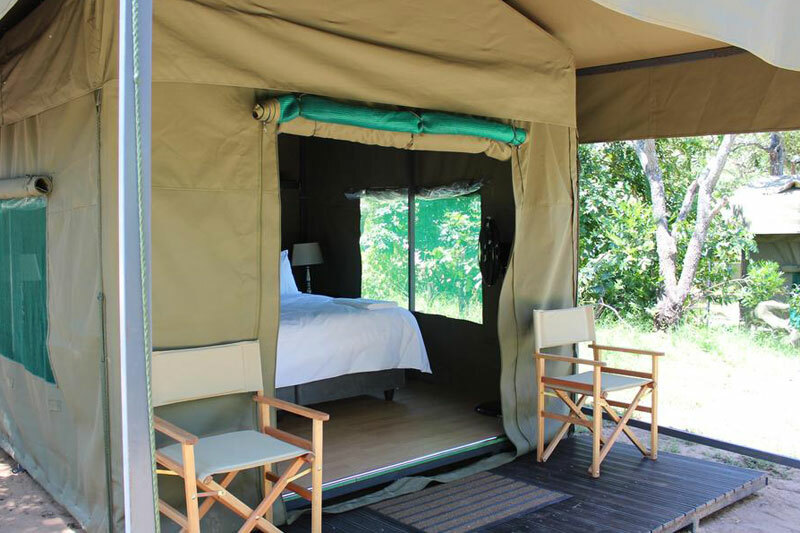 Low-key, comfortable, permanent canvas tents with private bathrooms provide budget accommodation minutes from the Addo Elephant National Park. Highlight: hiking trails, mountain bike routes and scenic drives. 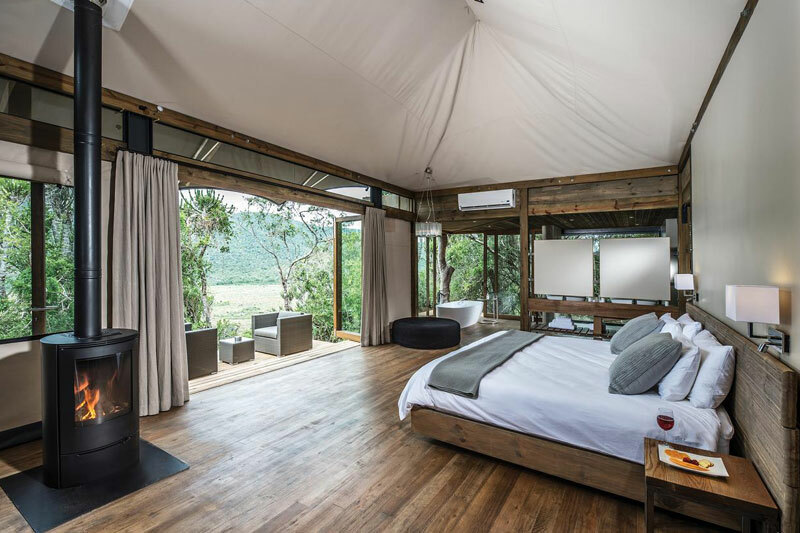 This big 5 reserve offers a hilltop en suite safari tent camp set in amongst rock and bush, each tent with its own timber deck. And another luxury, air-conditioned, tented camp in the valley, nestled in amongst indigenous trees. Highlight: a restaurant and sunset lapa, guided game drives, hikes, and bird watching. 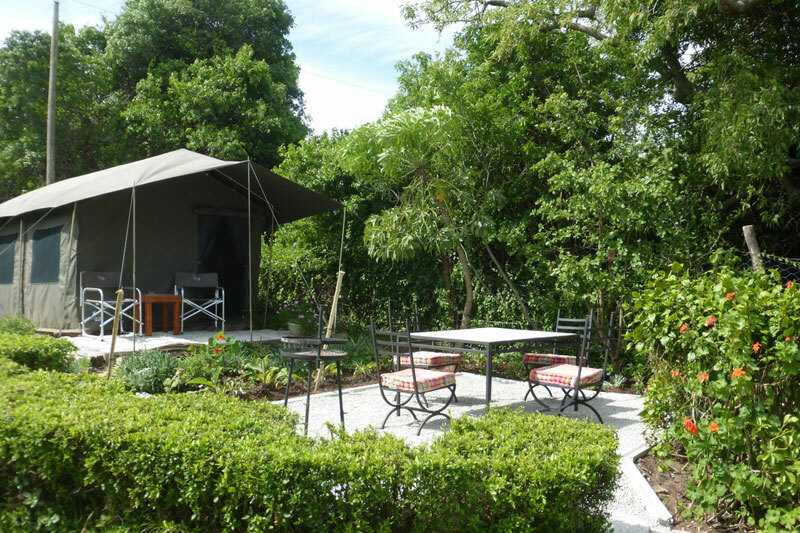 Kragga Kamma Game Park lies just outside Port Elizabeth with a series of low-key, traditional accommodation that includes a bedded safari tent with its own bathroom and deck overlooking the park. A wonderful chance to escape the city, whilst still in the city. 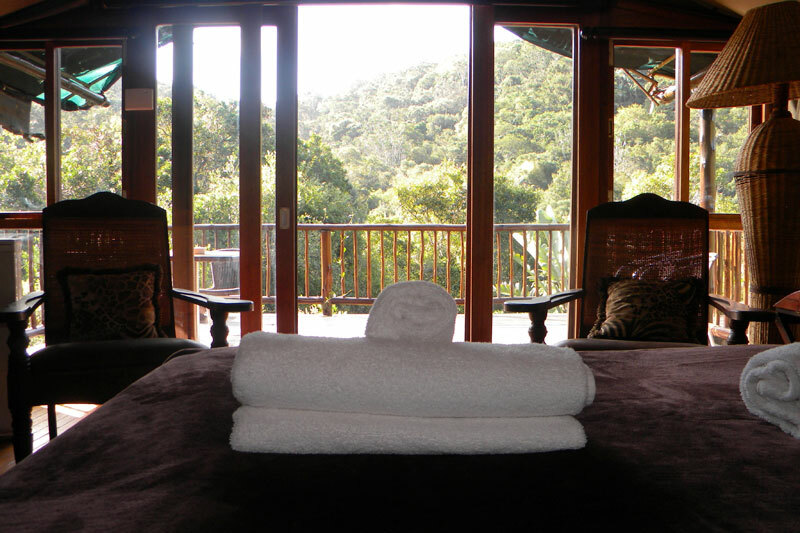 Only 45 minutes’ from Port Elizabeth is a secluded valley awash with sub-tropical thicket. The camp is an intimate tented safari camp, with unusual white 1900s military campaign-style tents and en suite bathrooms. Highlight: big 5 game safaris, the call of jackals, nightjars and screeching barn owls. Perfect backpacker-style tented rooms with comfortable beds, affordable for those on a budget. Sand River Getaway lies in the foothills of the Baviaanskloof with the Groendal Mountains as the backdrop. Highlight: hikes and trails, the Longmore Forest and Groendal Nature Reserve. Don’t let the Kenton-on-Sea address confuse you. This lodge lies in the remote Kariega wilderness with 5-star luxury that gives new meaning to the term ‘tent’. Each 110 m² suite has its own bedroom living area, bathroom and private viewing deck. Highlight: safaris, river cruises, full board, complete privacy. 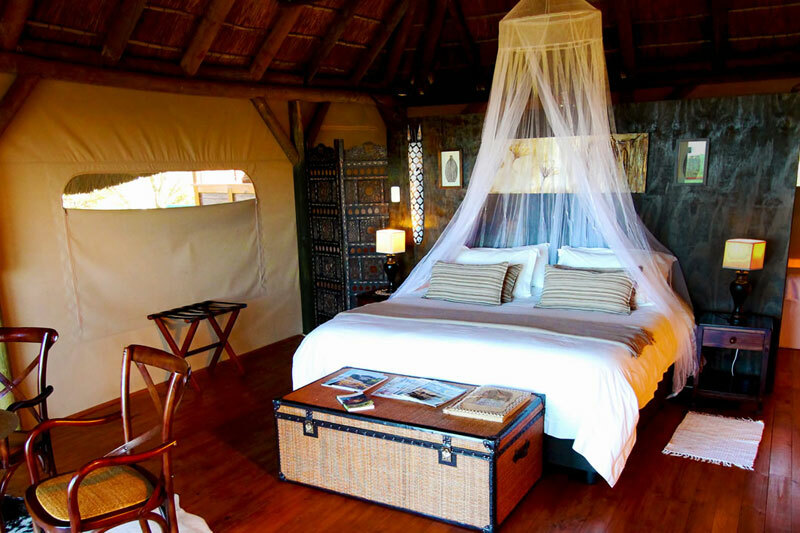 Luxury tented camps on this reserve might have canvas walls, but they come with thatched roofs and wooden floors, each with its own private viewing deck, plunge pool and en suite bathroom. Tented camps don’t come like this terribly often. Highlight: Big 5 evening game drives, boat cruises and canoe safaris. 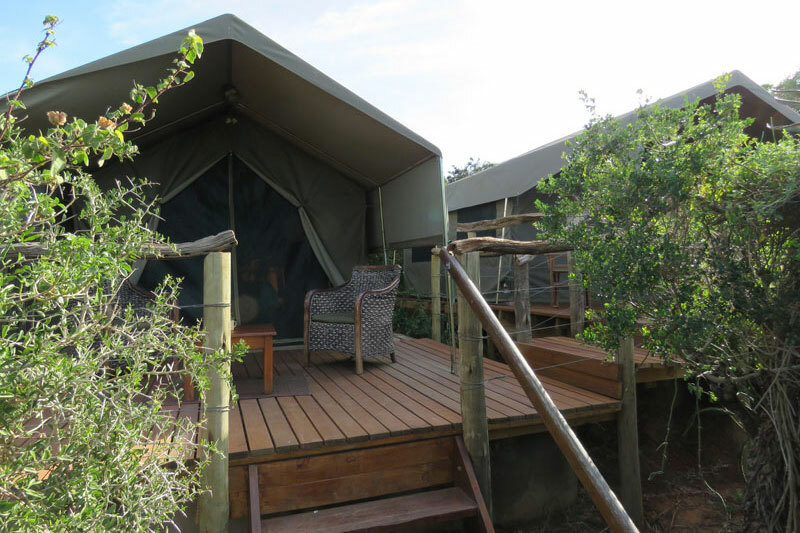 This tranquil Eastern Cape tented camp consists of 7 en suite tents each on a raised base with its own patio, and full board. Highlight: daily Big 5 game drives, incredible bird life, and Bushman’s River cruises. 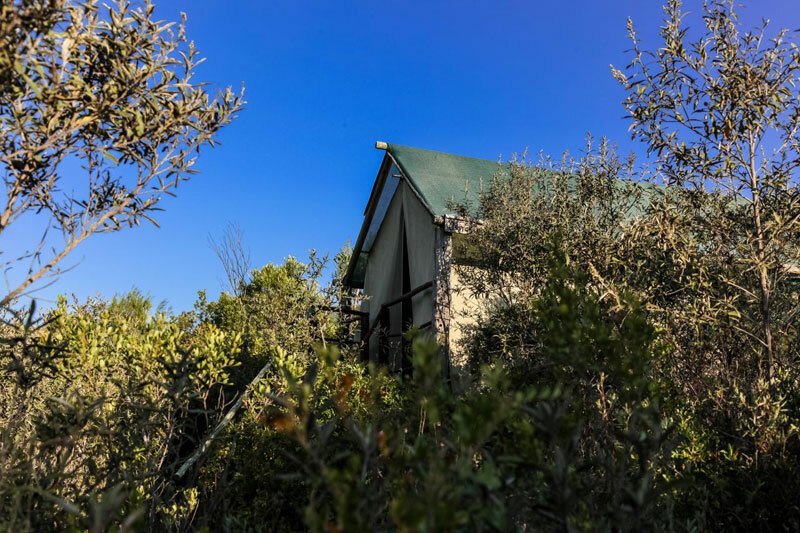 Perched atop a hill, just 20 minutes outside of Jeffreys Bay, are two luxury safari tents, one described as colonial and perfect for honeymooners, the other as country-style with a play on wood and colour with beautiful views over the Indian ocean and the bush. (Please note that J-Bay Zebra Lodge is currently rebuilding after extensive fires damaged the property in June 2017. Re-opening in February / March 2018). When the settlers arrived from England in the 1820s they would have set up camp before building their houses. Why not stay like a settler in this “settlers’ camp”, although with a lot more comfort? A permanent safari tent with lots of room, real twin beds and wooden furniture and a private patio with great views of our lush garden. Highlight: Breakfast in the Tea garden at Morley House. We are sure you will love ‘glamping’ at Morley House. If you do not have a 4×4 then head for this beautiful camp, shaded by ancient Forest Elder Trees, it is an oasis of cool on a scorching Karroo day. 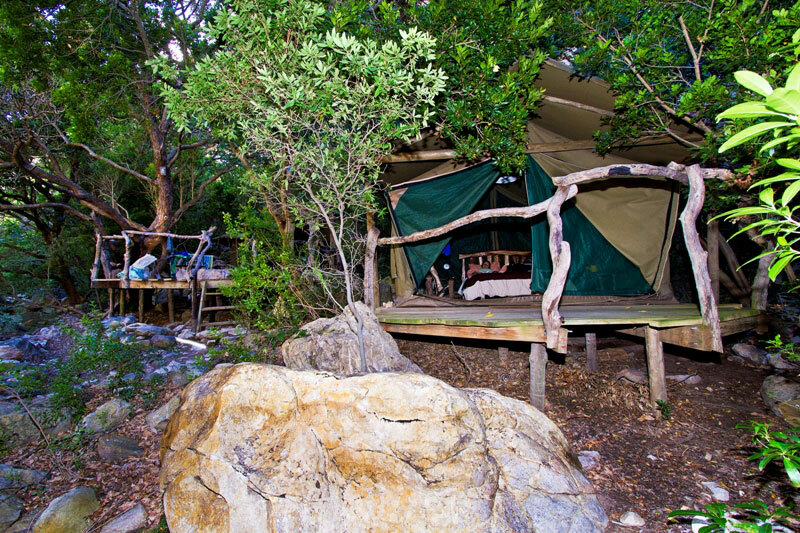 There is a 5 minute walk from the parking at the mouth of the Kleinrivier gorge but once you are in camp you will forget that the rest of the world exists. The gurgle of the passing stream will lull you to sleep. 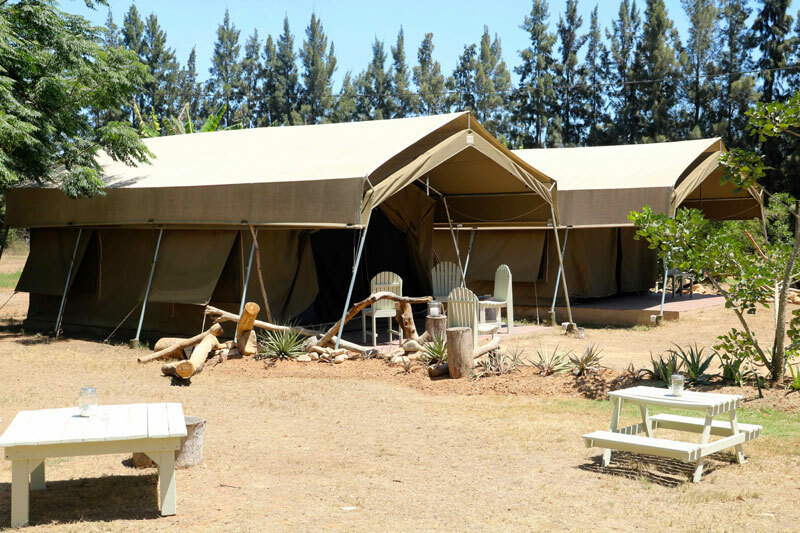 Highlight; 8 Guests can be accommodated in four spacious double tents which have comfortable sprung mattresses, electric lights and carpets.